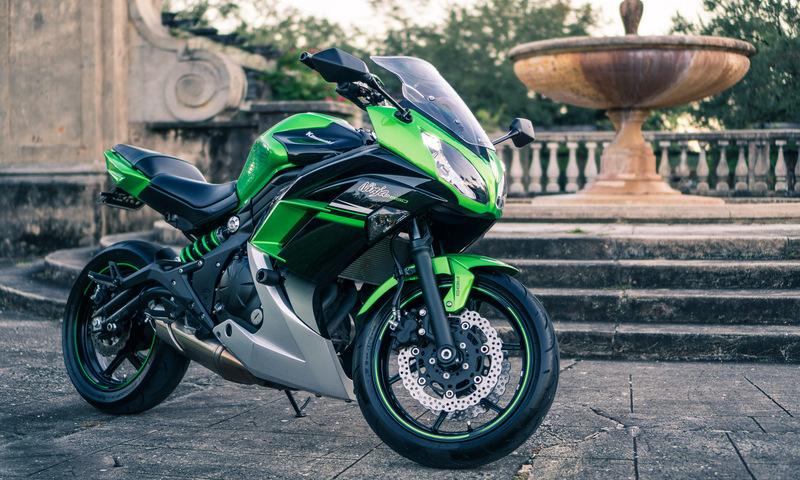 On its own, selling a motorcycle is daunting if you don’t have experience. Even considering international used motorcycle sales can sound like a recipe for a disaster. But is it? When I had to sell my motorcycle, it ended up sold to an international buyer. And the experience was almost as easy as with any other local buyer. Before totally dismissing the idea of selling and shipping a motorcycle abroad, consider this before concluding it’s a bad idea. 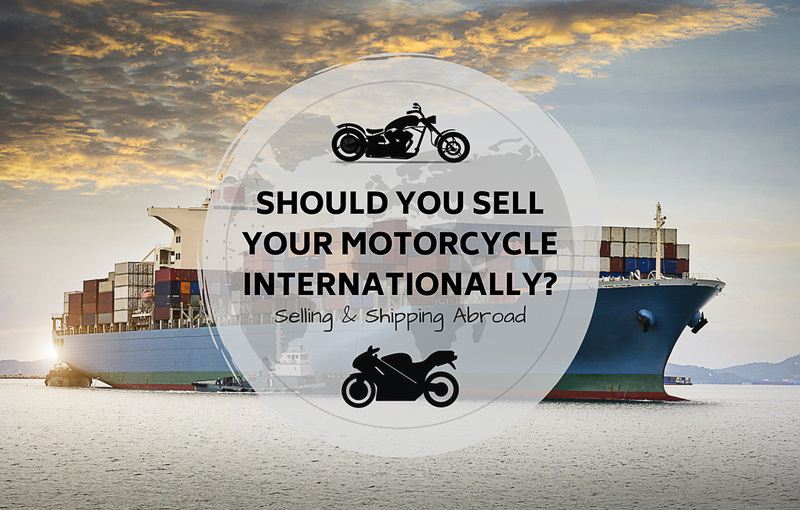 Should you consider international used motorcycle sales? So, should you consider international sales? 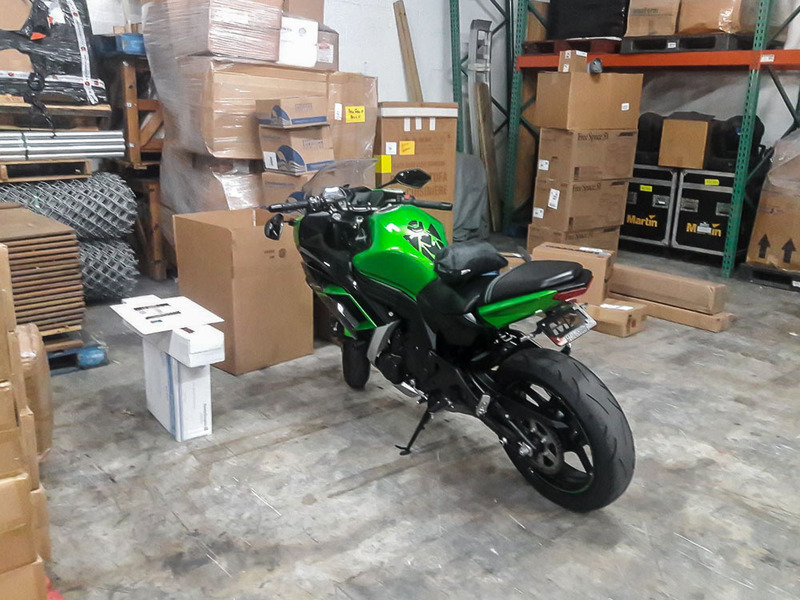 When I listed this beautiful Ninja 650 for sale, the last thing I was thinking of was international used motorcycle sales. Much less selling and shipping a motorcycle abroad. Nonetheless it turned out worthwhile. As part of the process of selling my used motorcycle, I posted a few listings online. It goes without saying that you have no control over who contacts you or shows interest in your bike. One potential buyer was straightforward showing their authentic interest for the bike. It was what they wanted, and they didn’t have complaints about the (slightly high) price. They made the right questions and gave the right answers. To boot, they genuinely seemed excited about finding a suitable bike in good condition. 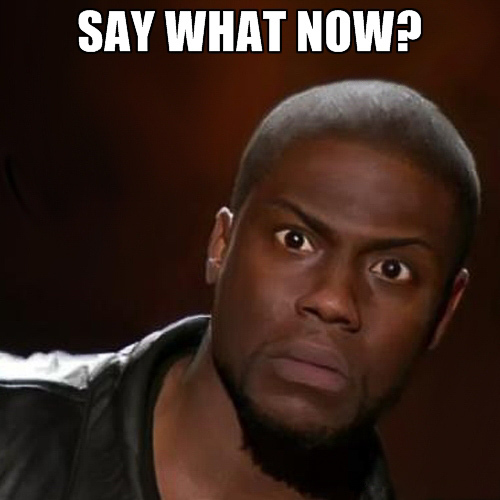 After making clear they were interested and had the money…they mentioned they lived in a foreign country. Say what now? Most international buyers are probably not going to tell you upfront. It’s the motorcycle-sale equivalent of telling a prospective landlord you own a Great-Dane – Fido might be an angel, but why take the chances? I can sympathize with the buyer. Don’t necessarily take it the wrong way. As with cars, there is a legitimate international market for used motorcycle sales. To the point, the foreign buyer turned out a pleasure to deal with and made my job as a seller easy. The motorcycle was sold and shipped internationally without hiccups. This is the same experience people the world-over have everyday. If you are selling a motorcycle, don’t completely dismiss international used motorcycle sales. I’m not saying you should seek them out, either. My point is simply that, if the price is right and the buyer checks-out, don’t shy away. There’s no better way to speed up a motorcycle sale – while increasing the selling price in the process – than to open up your potential market to the whole world. Though it shouldn’t really be your first choice, don’t unequivocally disregard international motorcycle buyers. They won’t necessarily pay you more. But they will typically accept whatever the listing price is (or close to it), recognizing the added hassle. You can even consider adding a (small) extra fee for the hassle. Some might be okay with the extra cost, others wont. It’s your call. Just keep in mind that they already have to pay a lot on top of the sale price for shipping, so don’t push it. The other bonus is that you avoid having to meet with buyers or them scrutinizing the bike and asking for discounts. Not to mention zero after-sale responsibility. You don’t have to worry about a buyer coming back to your address to complain about issues. That alone is worth something. To be honest, the bike’s true condition has to be a lot more stressful for the foreign motorcycle buyer than for you. But, as you might imagine, not everything is rosy. The real difficulty is differentiating actual international buyers from scam artists – What an ironic word for a thief. Personally, I’d say that the best giveaway is if they invest time and effort trying to find out about the bike. Especially when they give some personal background, and in general show genuine interest in the sale and its details. Ask them why they want your bike. Or if they’ve owned or ridden a motorcycle before. If they give you insider answers like “it’s the only bike with a seat height low enough for me” or “the ’15 model is the only one with ABS brakes”, then you know it’s not some scammer in Nigeria. Like most frauds, they work on quantity, not quality. 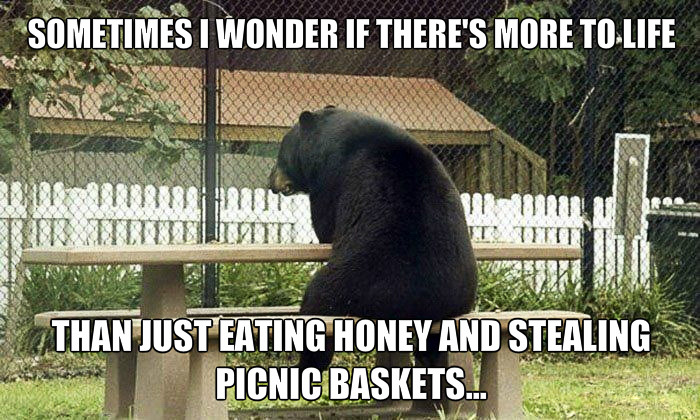 If you’re smarter than the average bear, a scammer won’t want to deal with you, either. In practice that means asking a lot of questions and insisting on details. Which when you come to think of it, isn’t so different from national sales. Here I briefly touch on motorcycle sale scammers. Checking out they’re a real person on Facebook doesn’t hurt, either. To be honest, this is the easiest part. You don’t have to worry about counting cash or fake currency. It’s the buyer’s job to make a wire transfer, and once it’s done, it’s done. You might think that an international buyer is legit, but not feel confident enough to go all-in. In that case, tell the motorcycle’s buyer to make a bank deposit via wire transfer. Give them a bank account number you don’t use too much. Also, move the money out of the account as soon as it’s confirmed, just in case. Best-case scenario, they find out the sale isn’t viable and you get to keep the deposit. As long as that was stated in the deposit agreement, of course. Doing things like that the risk is virtually all on them and not you. Once a bank transfer is made, it’s effectively impossible for the sender to reverse it. Remember, they have as much reason to believe you are scamming them, as you to believe that they might be scamming you. So, say you’ve found a suitable buyer and want to proceed with the sale. How is the process to ship a motorcycle internationally from that point on? Shipping any type of vehicle internationally is a PITA. With motorcycles, it doesn’t get any easier. Mostly because not as many cargo companies deal with them regularly. But the good news is it’s the shipping agency/buyer’s responsibility and not yours. You just have to get the bike to the drop-off in one piece. Once the deposit arrives, you can give them a hand with any ground work and start looking at the sale agreement together. Once they’re sure they want to proceed, the buyer should make the full payment and you should wait for it to clear. Then it’s simply a matter of asking them where and when they want the bike dropped-off. They should take care of all the shipping details and costs. That includes working out all the details with the shipping company. You should not have to do much more than drop off the bike. And since they won’t be registering the vehicle in your state, I’d definitely file a Notice of Sale in this case. One thing you should absolutely do is get the shipping company’s drop-off address and visit prior to the delivery date. They are usually located in industrial areas. It can be notoriously difficult to locate some specific addresses within them. If the street names aren’t accurate, or the gates open to a different street, a GPS might not help. Pass by beforehand. What’s more, when you contact a vehicle shipping agency and they give you an address in another country, it’s rarely the same company. Considering how a carrier can’t have a physical location everywhere, they outsource. Make sure to ask the specific name of the company at the drop-off address. Even better if you get the name and telephone number of the person your buyer has been talking to. If you can, talk to the shipping company about what you should bring on the drop-off date. Or anything the should be done to the bike. Like perhaps emptying the gas tank or disconnecting the battery. Minor things. Let them explain the process to you just for some peace of mind. This probably won’t ever come up, but I’ll mention it just in case. Given new regulations (as of 2018), your shipping company may ask you to consider shipping the motorcycle as yours. As opposed to shipping it as the buyer’s property. It’s just legalities. Basically it’s only a matter of the sale date on the bike’s receipt, as I understand it. You already have the money and nothing else changes. Only you can judge whether that’s okay with you or not – I can’t say either way. 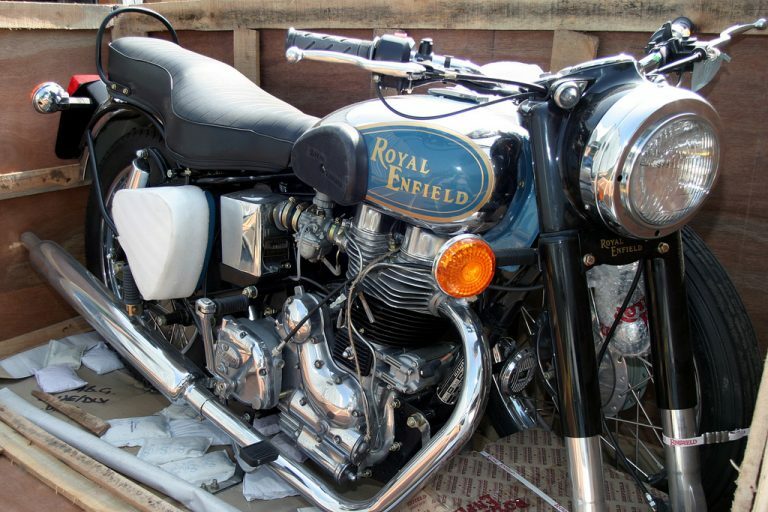 Selling a used motorcycle internationally is completely legal. At this point it’s just depends on whatever the federal regulation says to try to make everybody’s life more complicated. If you have any doubts, simply call another shipping company and ask. As of yet, I haven’t found much information on the topic since the regulation is new. And international used motorcycle sales aren’t too popular a discussion topic to begin with. But it seems to be an at least somewhat justified claim on the shipper’s part to make the shipment easier. Whether it’s by the book or just a loophole – or a bad idea altogether – is something you’ll have to discuss with the carrier if they bring it up. They are the experts. Not all companies ship motorcycles frequently, so it really depends on their past experience. If they don’t mention it, there’s no need to care about any of this. The transport agency should know best what the correct procedure is and take care of it on their own. Regardless, any extra expenses are the buyer’s responsibility. For international used motorcycle sales, don’t expect the cargo company to baby your bike as well as you did. 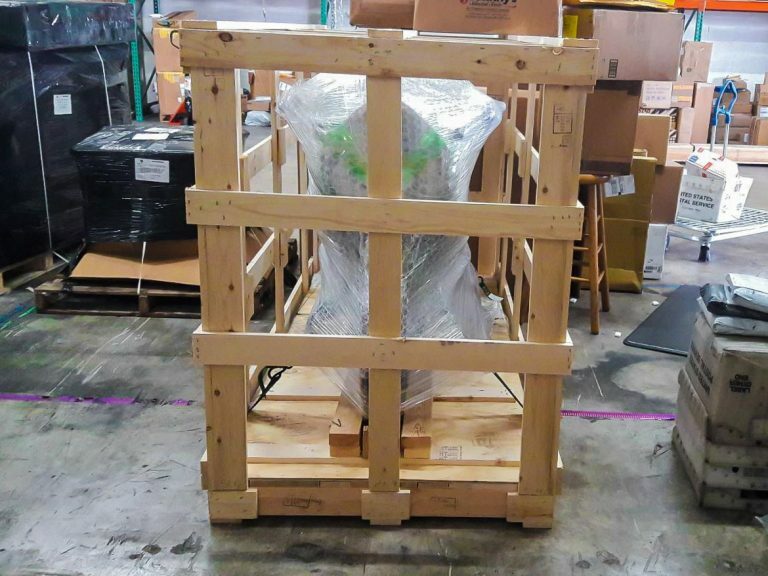 When possible, have the buyer consider boxing the bike in a motorcycle transport crate. Shipping internationally is expensive. As you’d imagine, to make international used motorcycle sales at least somewhat economically viable, corners are cut. That means that the bike will travel packed in a container with as much stuff as the company can stuff in. What’s more, for something like motorcycle shipping, it’s likely that the bike passes through multiple company’s hands. The person you dropped off the bike with probably doesn’t work with the cargo ship. Much less do they have anything to do with last mile delivery. If the bike gets damaged, no one will want to take responsibility for it – Thankfully, that’s the buyer’s problem. If the bike is expensive, have the buyer consider getting a wooden motorcycle transport crate. 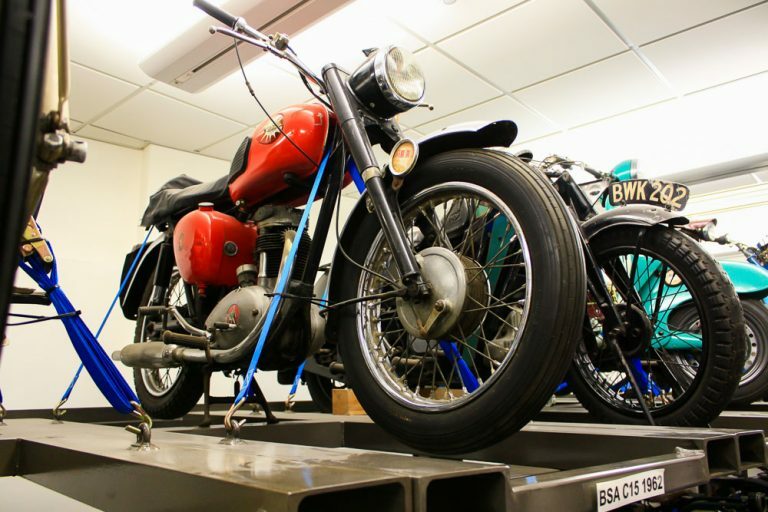 Should the bike be really valuable, then definitely crate it. 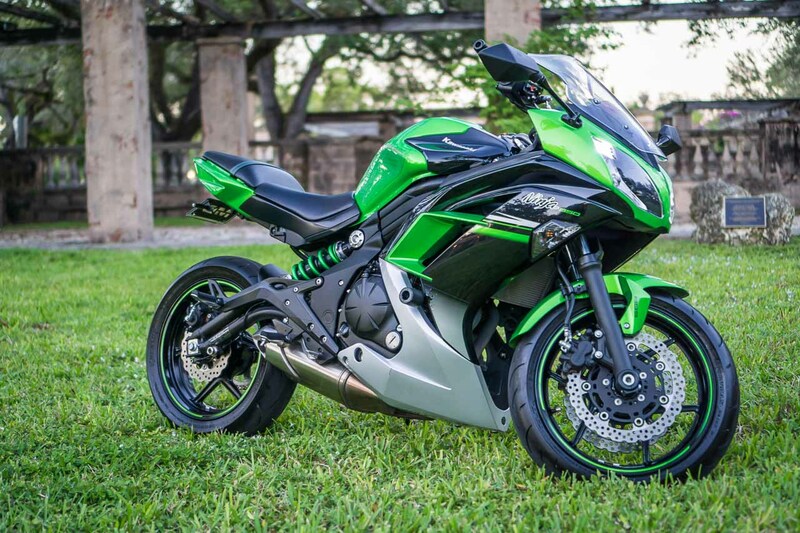 Nonetheless, if it’s just your average sport bike, don’t bother. In any case, I’d be remiss to not mention that crating a motorcycle can get expensive. Prices vary, so it might be a few hundred bucks or over a thousand dollars – it really depends. Just let the buyer know it’s a possibility and wash your hands after that. And finally, if the buyer does decide to crate the motorcycle, tell them to insist on the cargo company sending a picture. That is, an image showing that the bike was effectively crated. Otherwise, you’ll be depending on their word that the motorcycle was crated during the journey. For better or worse, it’s time to say goodbye. So the bike’s paid for, the details ironed out and the paperwork signed. What a relief! The only thing left is to drop-off the bike. Thankfully that’s as easy as it sounds. Drop-off the bike at the time the shipping agency tells you. Ask them in advance what paperwork you should bring, and bring it. It’ll just be a matter of signing some papers and making some copies. If they’re a big business, chances are they have prior experience with international used motorcycle sales. Selling and shipping abroad is business as usual for them. Another note. 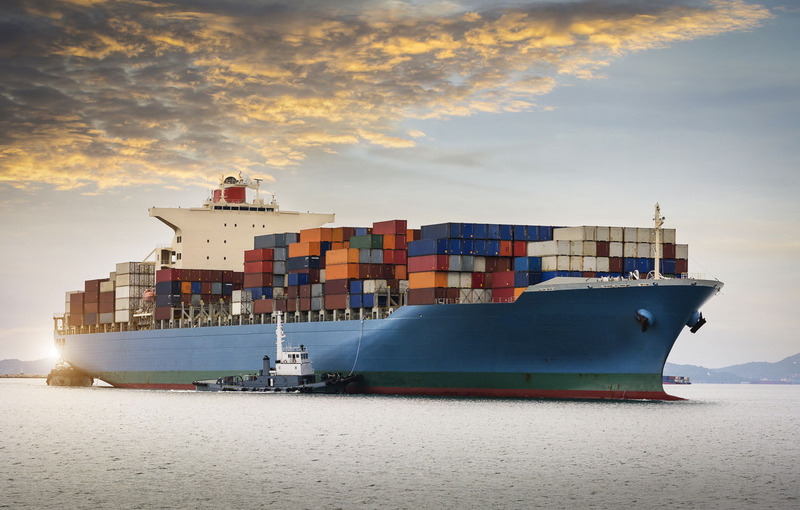 To make international shipping cost-effective, cargo is shipped in batches. That is, there might be days or weeks between viable shipping dates – No one said that international used motorcycle sales are quick. If you miss one drop-off date, you might have to wait a few weeks until the next. Regardless, don’t despair. It’s just something for the buyer to keep in mind should the bike take longer. There simply might not be a cargo ship heading their way sooner. For you that’s just more quality time with your bike – admit it, you’ll miss the motorcycle eventually. Chances are that if you’re shipping internationally, your bike is in for a vacation cruise…. How the bike travels will depend on where you’re located and where the motorcycle’s buyer is. It also depends on international maritime routes, commercial ports and hubs. Thankfully, none of that really matters much to you. In most cases, it will just be stuffed in a container with a bunch of other cargo with the same destination. And it probably won’t leave the container until it reaches that destination. Of course, save for intercontinental shipping where travelling by train is viable, in all likelihood the bike will get to its destination on every container’s cruise ship of choice – A container ship. Likewise, price is so dependent on location, that any average motorcycle shipping price is meaningless. For obvious reasons. The only thing you can take for granted is that it’s expensive. Normally the buyer will have a pretty justified reason for buying internationally. Like a geo-specific model, living on an island, vintage model or other such cases. Moral of the story is that, as long as you’re careful and the price is right, it isn’t imperative to completely refuse international used motorcycle sales. How to sell a used motorcycle becomes a lot easier when your potential market is the whole planet. Just trust your intuition and be as careful as you’d be with any other buyer. And finally, remember to get your buyer a guardian bell. That’s a tradition that us riders should keep alive!